These Bottles Utilize Natural and/or Sythentic Food Grade Cork or Lined Plastic "Spill Proof" caps. 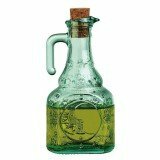 Great Bottles for Storing, Preserving and Displaying: Wines, Oils, Vinegars, Limoncello, Liquors, Liqueurs Water and more! They Make Wonderful Gifts For: Holidays, Weddings, Birthdays and more! 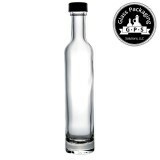 All of our Italian and American Made Bottles are Hardened Glass that is considered the best quality available in the market today. We do not carry chinese glass which has been known to: Contain imperfections due to a lack of Quality Control and Utilize substandard glass that is thin and prone to breakage.